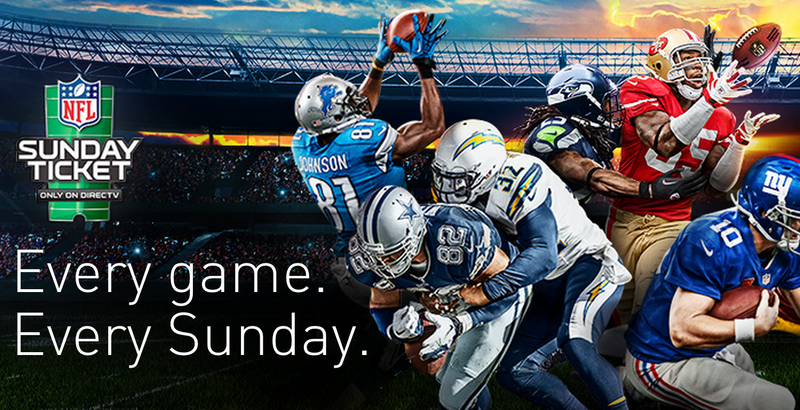 NFL Sunday Ticket — a pricey add-on sports package that offers live access to every out-of-market Sunday afternoon NFL game — is exclusively available through DirecTV, and will remain that way for years to come. But some bar owners allege that the satellite company’s deal with the NFL creates an illegal monopoly. This is according to a lawsuit [PDF] filed earlier this week against both the NFL and DirecTV in federal court by the owners of a San Francisco bar, The Mucky Duck. The complaint contends that, by only having one way to purchase access to out-of-market games, DirecTV is able to charge “supracompetitive rates” — upwards of 43% higher than they should be — especially to bar owners who need these games to bring in Sunday afternoon business during the NFL season. The plaintiffs note that Sunday Ticket is so critical to DirecTV’s business, that when AT&T decided to acquire the satellite company for $49 billion, the deal gave AT&T the right to walk away from the merger if DirecTV didn’t reach a new exclusive contract with the NFL. Thus, contends the lawsuit, Sunday Ticket purchasers can’t go to lower-cost pay-TV providers for the rest of the year. This is particularly difficult for bars with business accounts through DirecTV. The plaintiffs, who are seeking class-action status for the lawsuit, note that in Canada Sunday Ticket is not exclusive to a single pay-TV provider but is sold through multiple cable companies.